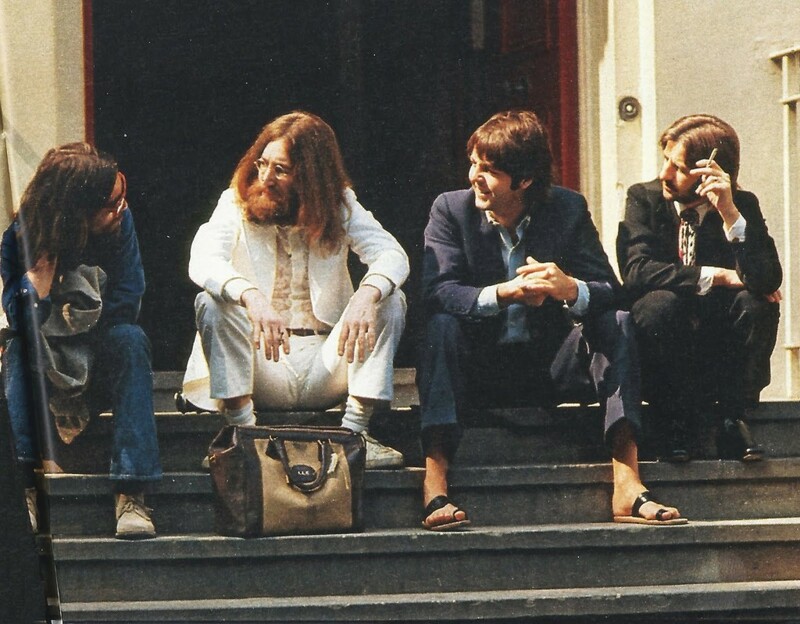 After the near-disastrous sessions for the proposed Get Back album (later released as Let It Be), Paul McCartney suggested to music producer George Martin that the group get together and make an album “the way we used to”, free of the conflict that began following the death of Brian Epstein and carrying over to the sessions for the “White Album“. Martin agreed, stipulating that he must be allowed to do the album his way. This would be the last time the band would record with Martin. 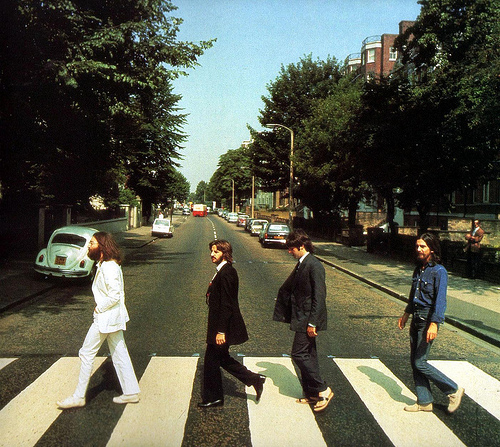 With the Let It Be album partly finished, the sessions for Abbey Road began in April, as the single “The Ballad of John and Yoko” / “Old Brown Shoe” was completed. In fact, recording sessions of John Lennon‘s “I Want You (She’s So Heavy)” had already started in February 1969 in Trident studios, with Billy Preston on the organ—only three weeks after the Get Back sessions. Photos from these sessions are included in the book Get Back, which came along with the Let It Be album but not in the Let It Be film. McCartney is clean-shaven and Lennon has started to let his beard grow. Most of the album was recorded between 2 July and 1 August 1969. After the album was finished and released, the Get Back / Let It Be project was re-examined. 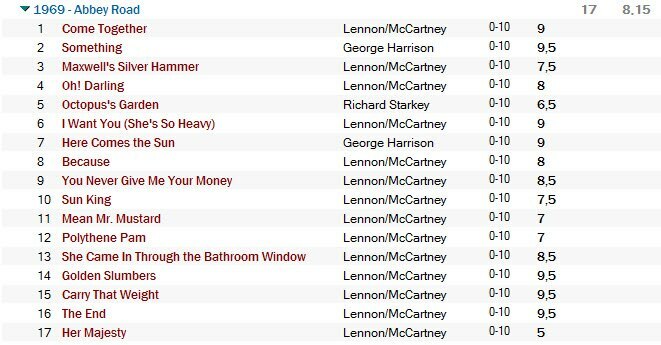 More work was done on the album, including the recording of additional music (see Let It Be). 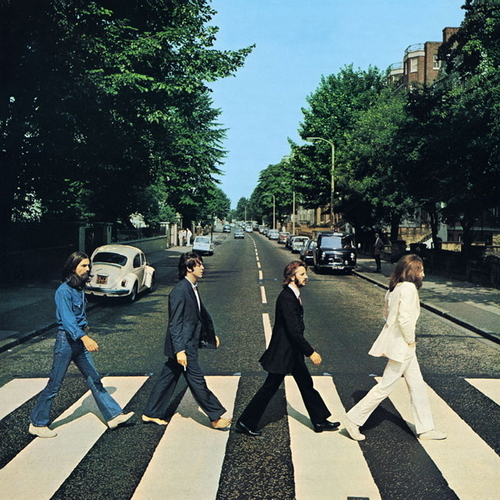 Thus, though the bulk of Let It Be was recorded prior to Abbey Road, the latter was released first, and Abbey Road was the last album properly started by The Beatles before they disbanded. Lennon was on hiatus from the group and working with the Plastic Ono Band during the September 1969 lead-up to Abbey Road’s release, which was effectively the first official sign of The Beatles’ impending dissolution. My favourite Beatles record, and the fourth best album made by anyone!